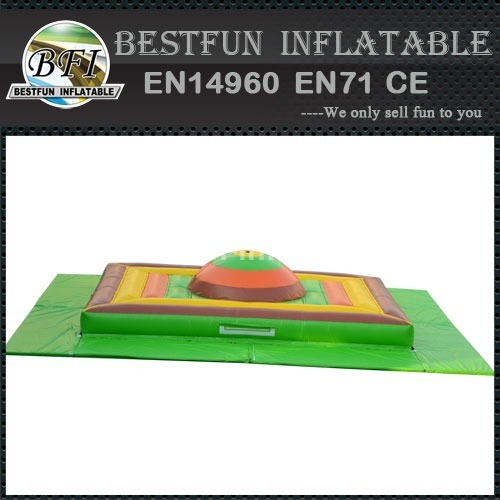 Freestanding pad to jump to the settings on any surface, reinforced underside, the ability to place their own ads. 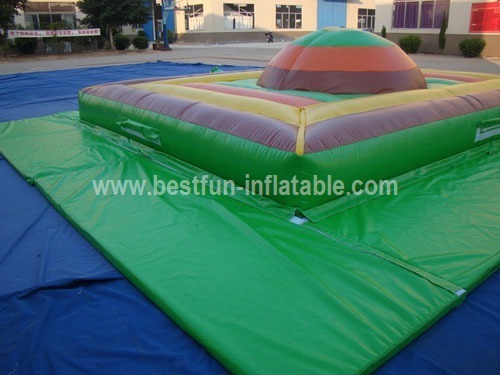 We spread air out to help deflation before roll the game, then put aband belt outside to tie it. 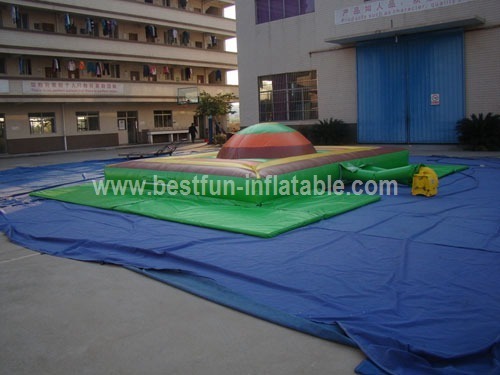 We will use tarpaulin bag which is same material as the games to package the units. 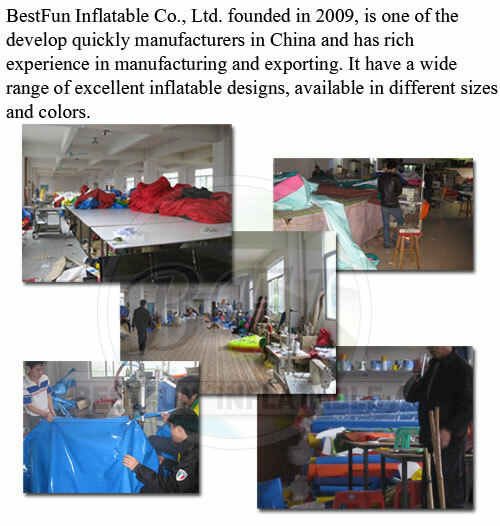 So the packages will not befrazzled during delivery process. 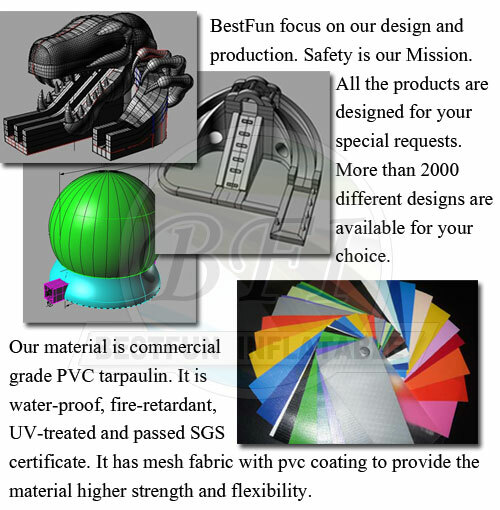 For big units, we will make extrahandle band outside of the packages. 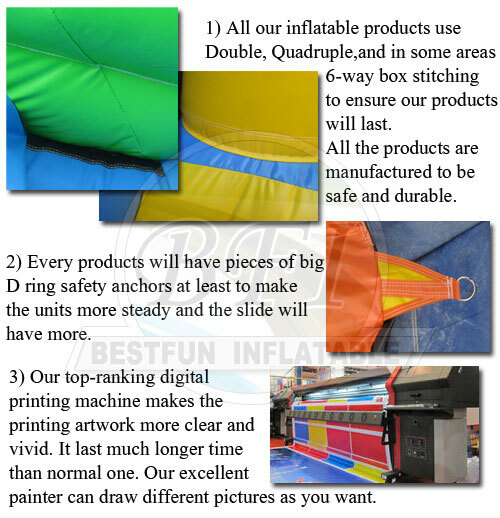 In order to let you find your goodsquickly, we will paste a waterproof mark paper with your order number. 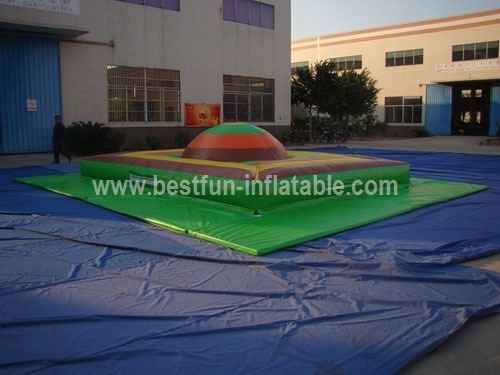 1.Thickness heavy-duty, laminated and coated pvc fabric. 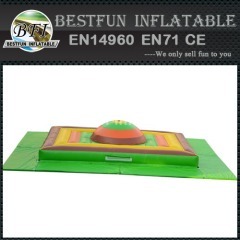 2.puncture-proof, fire-resistant,Double- to quadruple stitched vinyl. 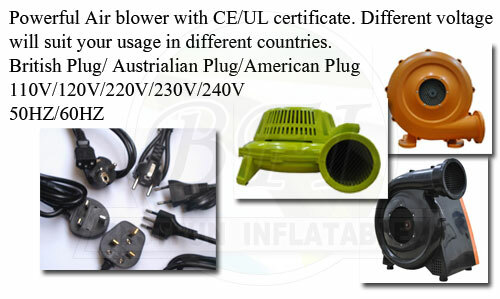 3.UL or CE certified blowers. 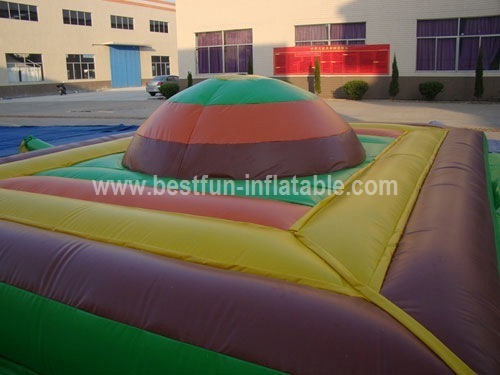 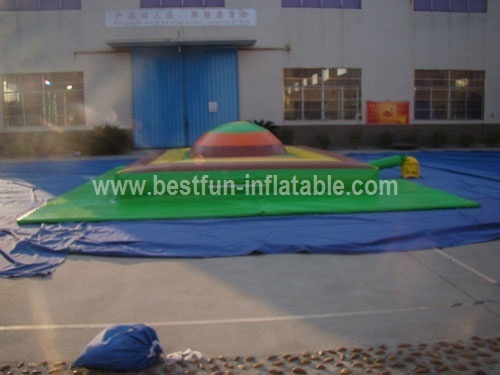 Pls contact us by email or skype now If you are interested this Inflatable air jumping mountain bag.